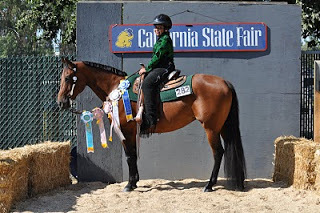 As the California State Fair wraps up and the vendors put away the trinkets and snow cone machines until next year, our family has cause to celebrate some accomplishments from the 4-H equine competition. My 15-year-old niece, Tara Coupe, competed in the senior level horsemanship events with her trusty mare, Miss Sweet Tucker, which everybody around the RMC Ranch calls Miss T, and came home with a fist full of ribbons. They say the horse’s name kind of respectfully around my brother’s house, which is tip off to what’s going on. After the fair, I asked Tara how she liked the competition, considering she won a first-place blue in the senior horsemanship event. She said, “That’s my favorite. Even if Miss T isn’t behaving well, it’s more fun doing the patterns then just going around the rail at the walk, jog and lope. In horsemanship you can really extend into a jog, jog, lope, lope circles, jog circles, stop from a lope or jog, pivots, and backs. Sounds confusing and hard.” She stops and laughs when I roll my eyes. “As long as my horse listens to me, I do fine,” she said, suggesting Miss T listens just fine. She said that to qualify for State Fair she had to win a 1st place ribbon at her County Fair (Sacramento) and this year she won 3, which gave her a chance to compete. 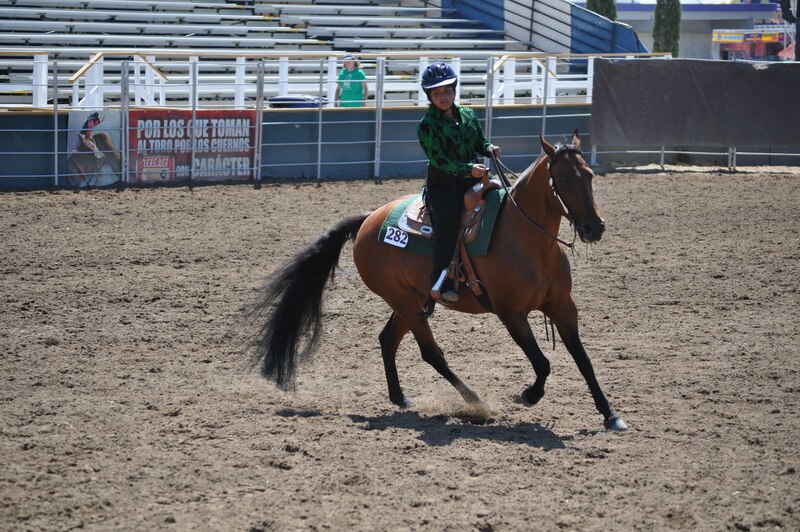 A participant in the Wilton 4-H Horse Project in Sacramento County, Tara credited her leaders – Norma Struffenenger and Laurie Krogen, along with her assistant leader Melanie Coupe (her mom). The key to her success is practice, she said. “You can’t rush things and you can only practice one thing at a time,” she tells me, sounding very grown up. “I usually take lessons two times a week with my trainer and ride a couple of more times at home. So I ride 3 to 4 times a week. 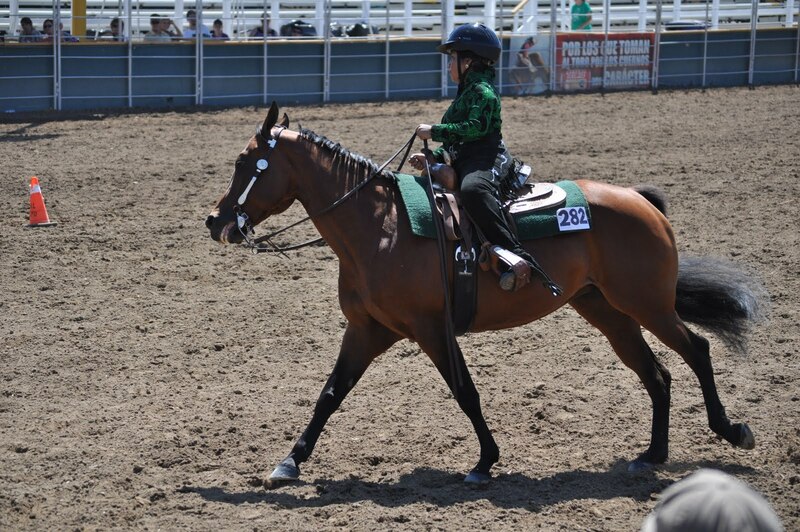 Tara has been riding horses since she was 7, starting out with ponies. She started riding Miss T when she was 12. She taught her horse Showmanship, English, Western Pleasure, Jumping, etc. and credits her trainer, Suzanna Robinson, with lots of help on the details. But, that’s a story for another time. In the meantime, we’ll just relish the win with Rockin’ Miss T.
Sounds like a great time! So much dedication by horse, rider, trainers, and parents! And the aunt to enjoy it all!